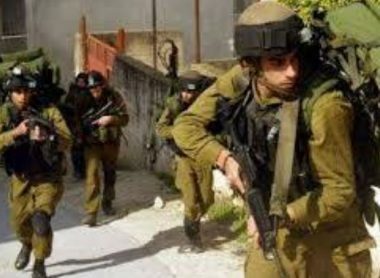 Israeli soldiers abducted, Sunday, two young Palestinian man from Tubas city, in northeastern West Bank, and Hebron, in the southern part. Mahmoud Sawafta, the head of Tubas office of the Palestinian Prisoners’ Society (PPS) said the abducted young man have been identified as Abdullah Sharif Daraghma. He added that Daraghma was taken prisoner after the soldiers stopped him at the al-Hamra military roadblock, southeast of Tubas. The young man was cuffed and blindfolded before the soldiers took him to an unknown destination. The soldiers also abducted a young man, identified as Abdullah Walid Sweity, from Doura town, south of Hebron. 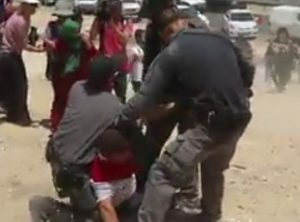 The young man was taken prisoner after the soldiers stopped him at the “Container” military roadblock, north of Bethlehem. In related news, the soldiers abducted eight Palestinians, including five children, from their homes in occupied East Jerusalem. 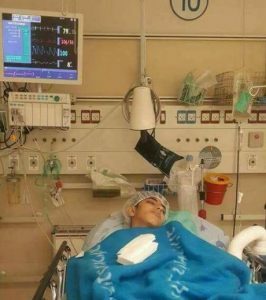 Furthermore, a young Palestinian man died, Sunday, from complications, including renal failure, resulting from serious wounds he suffered after Israeli soldiers shot him in his spine, in 2009. Palestinian, Ya’coub Fayeq Nassar, suffered numerous complications, and underwent several surgeries, including when the doctors amputated his left leg last year. 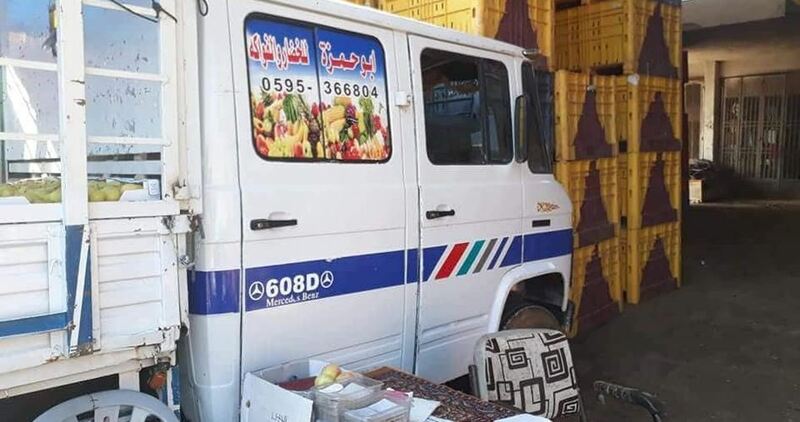 The Israeli occupation forces (IOF) at midnight confiscated a Palestinian commercial vehicle used to transport vegetables in an ambush on a road between Nablus and Ramallah. According to local sources, the vehicle belongs to a young man called Suleiman Saqer, a resident of Nablus city, and he was driving home after he sold vegetables in Ramallah. 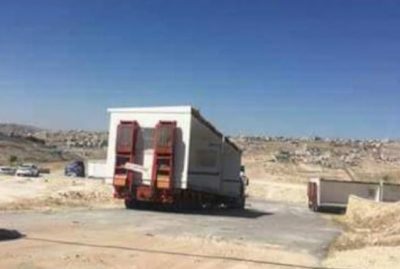 The vehicle was confiscated, with no reason, by soldiers at a makeshift checkpoint in an area known as Ayyoun al-Haramiyya between Nablus and Ramallah. The young man is the son of ex-detainee Ahmed Saqer, whose personal car had been seized by the IOF about one month ago. Israeli occupation forces (IOF) on Sunday intensified security measures around Nablus city in the northern West Bank, erected makeshift barriers and blocked traffic. 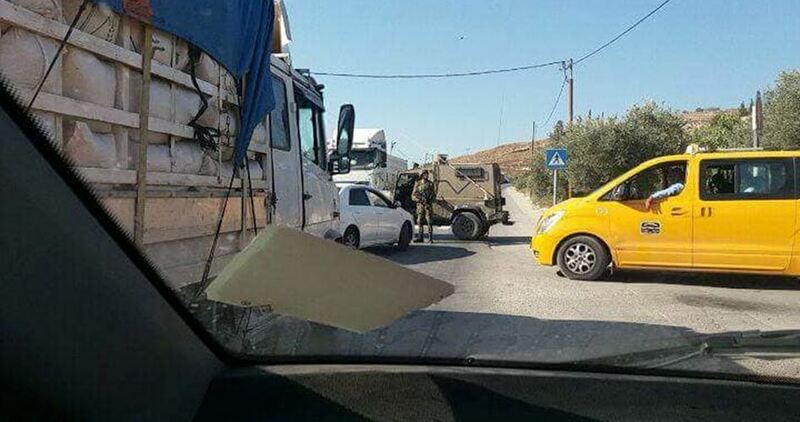 Eyewitnesses reported that the IOF closed Deir Sharaf road, which links Nablus with Tulkarem, and prevented vehicles from entering or leaving the city. 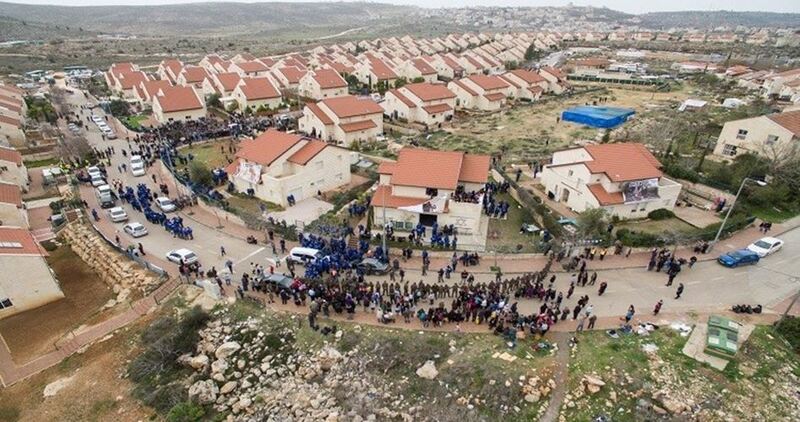 Meanwhile, a local source said that a group of Israeli settlers rioted near Jit village, between Nablus and Qalqilya, under the protection of IOF soldiers. Palestinian medical sources in Hebron, in the southern part of the occupied West Bank, said a young man died, Sunday, from very serious complications resulting from wounds, he suffered in 2009, after Israeli soldiers shot him. 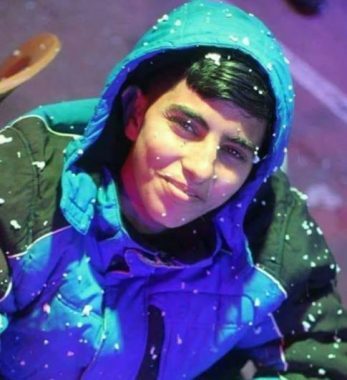 The Palestinian, Ya’coub Fayeq Nassar, 18, was just a child, 9 years of age, when the soldiers shot him in his spine, in the al-Fawwar refugee camp, south of Hebron in the southern part of the West Bank, and suffered ongoing complications. His injury caused paralysis, and he spent years being transferred to various Palestinian hospitals in West Bank, and was eventually moved to an Israeli hospital where he underwent many surgeries and medical procedures. In February of last year, the doctors at Ichilov Hospital had to amputate his legs, but his condition continued to deteriorate, and he suffered a renal failure, before eventually succumbed to his wounds. “Instead of expelling Iranian diplomats, the Dutch government should explain why it has harboured members of a terrorist organisation,” Qasemi said, mentioning the People’s Mujahideen Organisation of Iran. 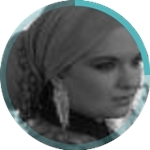 That group is linked to the Paris-based National Council of Resistance of Iran – a bloc of opposition groups in exile that seek an end clerical rule in Iran. The group, also known by its Persian name Mujahideen-e-Khalq, was once listed as a terrorist organisation by the United States and the European Union but is not any more. Israeli Minister of Agriculture Uri Ariel on Sunday forced his way into East Jerusalem’s flashpoint Al-Aqsa Mosque compound, for the first such tour by an Israeli official since 2015. Last week, Israeli Prime Minister Benjamin Netanyahu lifted a three-year ban on government officials and Knesset members visiting the site. 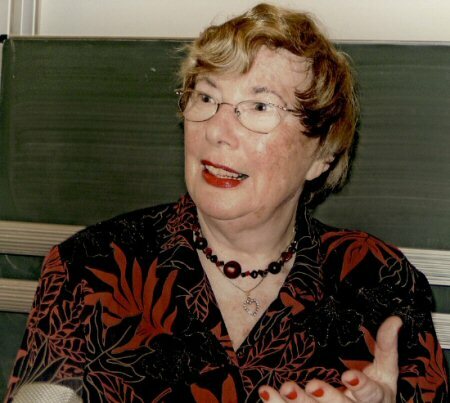 Ariel, a member of the right-wing Jewish Home party, led a group of Jewish settlers into the Al-Aqsa courtyard under heavy security measures, according to eyewitnesses. Speaking during his tour, Ariel called for keeping the site open for Jewish prayers throughout the year. According to Israeli Channel 7, Ariel had obtained a prior approval before visiting the Al-Aqsa compound in line with instructions requiring member of Knesset to submit a request 24 hours before visiting the site. Netanyahu had allowed Knesset members to visit the compound once every three months, according to local Israeli media. In October 2015, Netanyahu banned MKs from entering the Al-Aqsa compound in an effort to calm violence that broke out across Israel-occupied West Bank as a result of repeated incursions by Jewish settlers into the site. Some extremist Jewish groups have called for the demolition of the Al-Aqsa Mosque so that a Jewish temple might be built in its place. In September 2000, a visit to the flashpoint religious site by late Israeli politician Ariel Sharon sparked what later became known as the “Second Intifada,” a popular Palestinian uprising in which thousands of people were killed. Israel occupied East Jerusalem – in which the Al-Aqsa is located – during the 1967 Middle East War. It later annexed the entire city in 1980, unilaterally claiming it as the capital of the self-proclaimed Jewish state.